A common question amongst amateur jerky chefs is what cut of meat do I use when preparing my jerky? 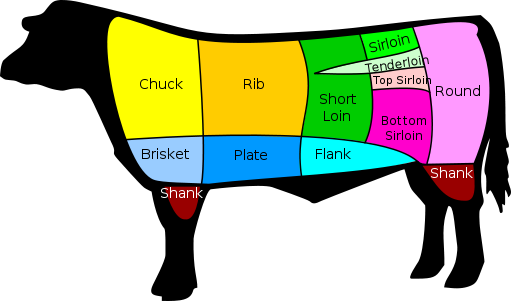 The most commonly used cuts of meat are the top-round and the flank. Use the following color-coded diagram in conjunction with our Meat Selection page and make your jerky with confidence.